Drive: 1/2 Hp Motor Coupled to Reduction Gearbox & 3 Step Pulley. Owing to the rich experience in this domain, we have been able to offer optimum Wire Rod Rolling Mill to our valuable customers. 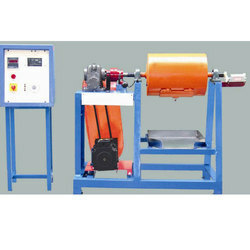 These mills are widely used for reducing the cross section of a rod. To ensure a defect free range, these mills undergo various in-house quality checks by our team of quality controllers. Wet/Dry Rod mill are used for primary grinding of crushed ore with a particle size of 50 mm for soft materials, and 20-30 mm for harder materials . Wide range of Gears up to 4000mm – 30 modules for any type of Hot Rolling Mill Stand. With the introduction of most technologically advanced special and alloy steel long product rolling complex for manufacture of value added bars and coils, a new dimension has been added in BPSL's long history in the steel business. Continuous rolling Mill automation from Furnace output to finished product. - Billet conditioning such descaler, rejection table control. - Minimum Tension Control for better quality. - Horizontal as well as Vertical Loop control for Tension free rolling. Chi Care Global Solutions Pvt. Ltd.
Applicable for secondary & tertiary crushing of medium hard materials such as gypsum, limestone etc. and bituminous coal. Designed for achieving very high reduction ratio. 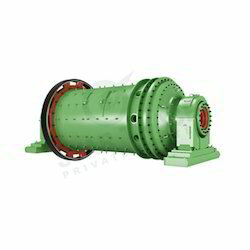 Available in various models with capacity ranging from 80 to 550 T / Hr. (Coal). The preparation of ball or pebble mill feed is an important application for Metso's rod mills. These mills produce a uniform-sized product while minimizing the production of tramp oversize and unwanted fines.